This Bag Trend Won't Ever Really Be "Out"
There are a few bags that deserve a place in every woman's closet—they're around every season and will be worn again and again. Among these essential bags are the clutch, the tote, the shoulder bag, and one we're seeing everywhere right now especially: the saddle bag. The style originally served a utilitarian purpose for horse riders but now exudes cool, equestrian-esque style. Fashion girls like Lauren Santo Domingo are fans of the classic style. Worn over a checked blazer with ankle boots and jeans, the crossbody bag is an easy style that can be thrown over any outfit. Whether you're drawn to more classic, minimalistic versions or ones embellished with tassels or patches, we've rounded up the best 19 saddle bags to buy now. 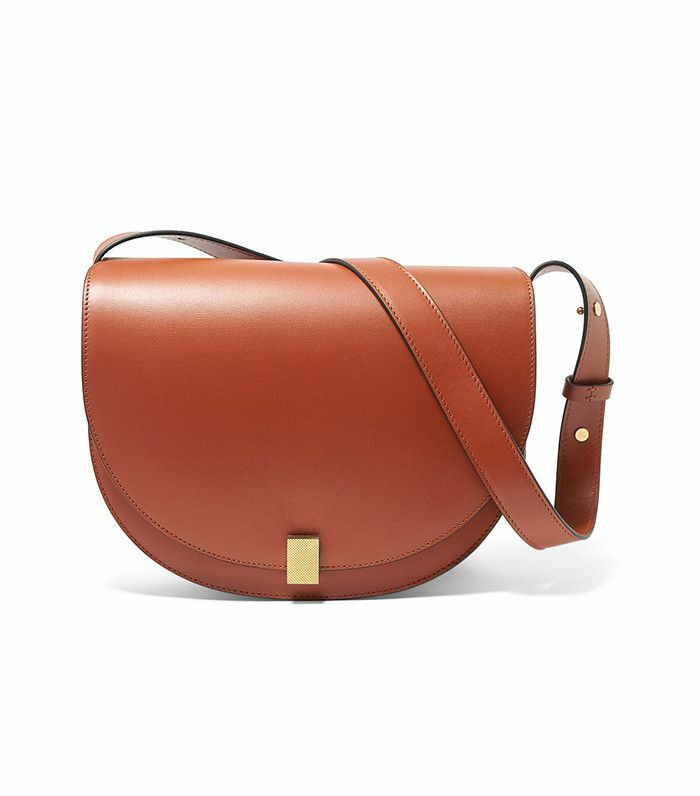 Keep reading to shop saddle bags from Victoria Beckham, Zara, Gucci, and more. Wear yours with linen pants. Finished with Alexander Wang's signature studs. The compact bag has just enough room for your wallet, cell phone, and keys. Finished with a paperclip-inspired closure. Pair this with a checked blazer and jeans. We love the metal ring detail. Made from Gucci's iconic monogrammed print. Wear yours with cropped denim flares. Wear yours with an off-the-shoulder dress and sandals. Keep things simple with this minimalistic tan bag. Chloé's Nile bag is one of the coolest It bags this season. This bag has been a classic since the '70s. Try this croc-effect version for a bit of texture. Get this style while it's on sale. Style yours with a structured top and jeans. Next, read about how to style ankle boots with jeans this spring.